The bold polished chrome frame of this simplistic yet highly functional modern wall lamp is a strong representation of modern minimalism. The adjustable arm of the frame allows for variable lighting, which is good for changing the mood of the room. 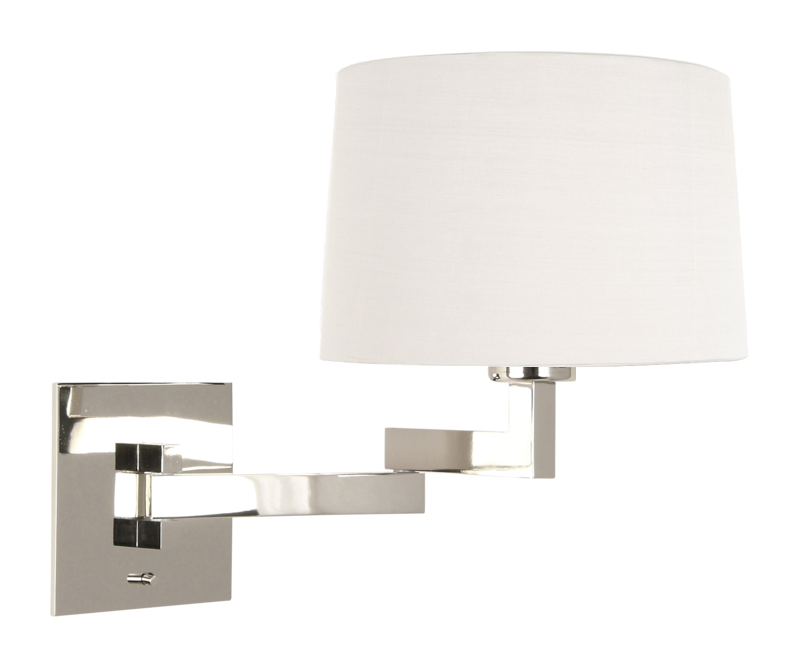 Attached to the wall by an attractive polished chrome base that plays off of the frame, this gorgeous lamp definitely does not lack durability at all. This lamp may be short on features but it is definitely not lacking in the way of style and class. Its simplicity does add to its flexibility, allowing it to easily adapt to any modern living room, reception area, or office.